Oh, Just Because. – It Works For Bobbi! Published on September 13, 2008 August 9, 2016 by Bobbi-Jo G.
I caught the scrapbooking bug this week once again. I just love it when that happens. I think it has something to do with the fact that I took a trip to my new favorite (or at least closest) scrapbooking store in MooseJaw. The smell of new paper, the sight of brightly colored stickers and embellishments, it just makes my creativity flow! Actually, I should LIVE in a scrapbook store. Are there any scrapbook store condos on the market? I found some Thickers that I had been looking for, plus a few things that I hadn’t been looking for, too 😉 I love the new vinyl thickers – LOVE THEM! I put them right to work on probably the oldest photo from this year that I haven’t gotten on a layout yet. It was from our summer trip to MJ that I wrote about HERE. Why hadn’t I scrapped it yet? Actually, I found it on my memory card – for some reason it hadn’t been copied to my computer with the rest of the photos. I REALLY love when that happens!! It’s like a gift! Especially when it’s a pic of me and my girls. Love it. Okay, this two page layout I created using a sketch from the current issue of CK magazine (if I remember correctly WHICH mag. I tore it out of – gotta write it down before I tear it out next time). 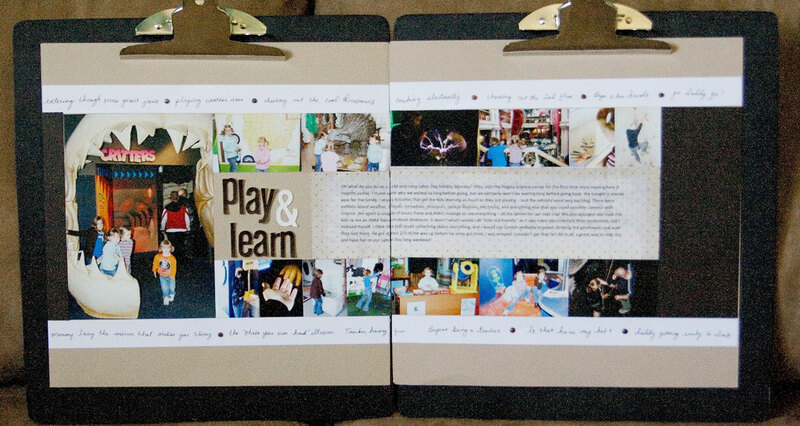 This makes me SOOOOO happy – when I can fit so many photos on ONE layout! YES! This two page spread encompasses our entire trip to our local science center. We had such a great time, we bought season passes!! This page is basically one vertical 5X7 and the rest are horizontal 2X3s (though I stuck 2 vertical 1.5X2 photos together to make a 2X3 in a couple cases). 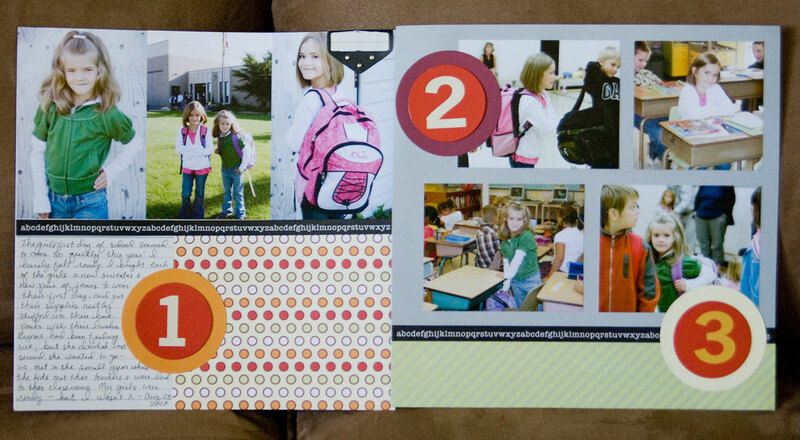 AND I finished scrapbooking my girls’ first day of school photos – for MY album. Many of these same photos will also make it into each of their own school albums as well, but this layout is MINE. I used a KOTM from Lisa Bearnson to make quick work of this. 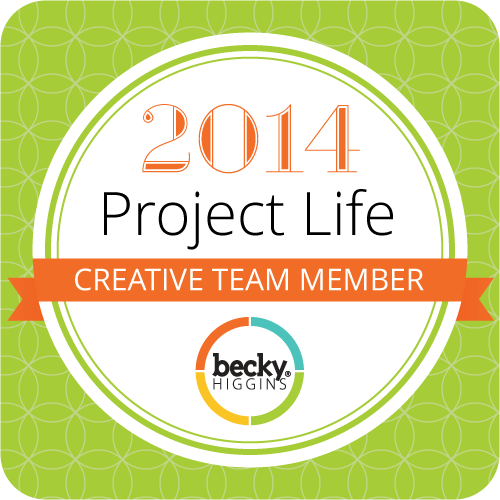 I just LOVE those kits – it helps me keep up with my goal! 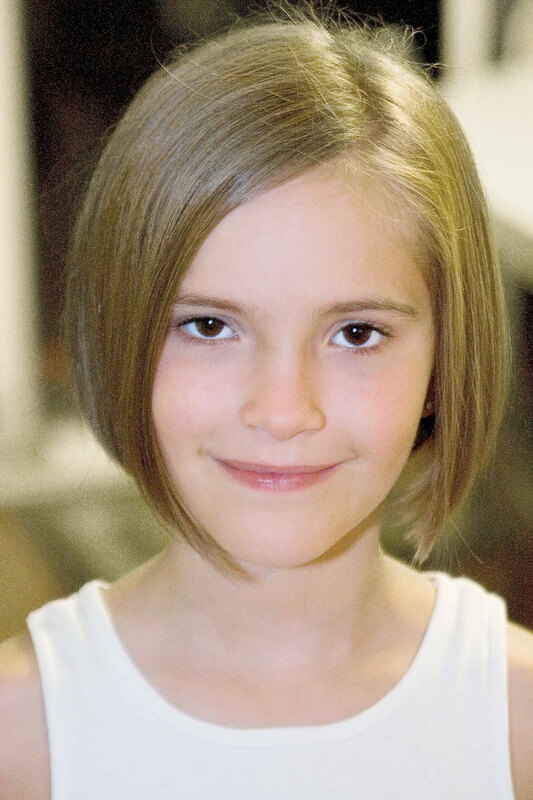 Oh, and finally – TJ asked me to chop her hair, again, and this time we went even shorter (wow, she has faith in me). Here’s a sneak peak – I think I did a pretty good job, and we saved ourselves $15! NICE! Super cute layouts! Your making me want to scrap and look into those Scrap store condo’s your talking about. 🙂Great job on her hair as well. 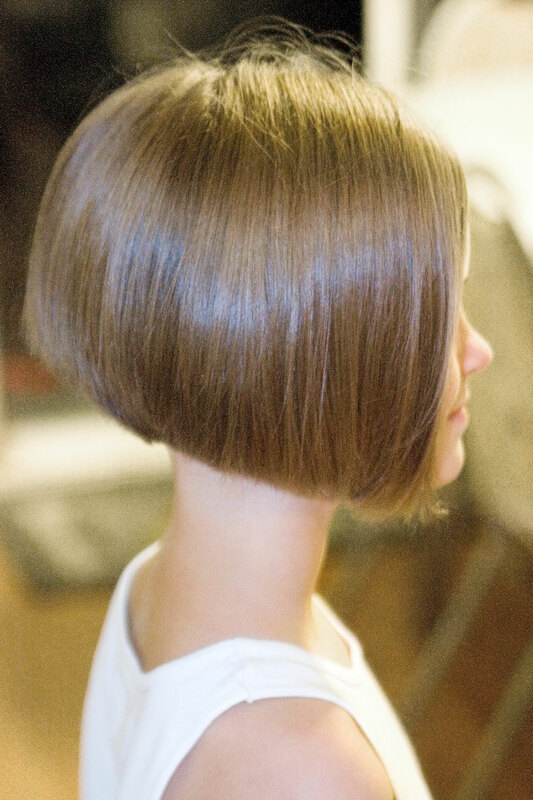 I love that hair cut style. Oh wow! Where do your talents end?? ?I am SO jealous that you are brave enough and Talented enough to cut hair!!!! Think of ALL the money I could have saved over the years. (I know…stop my whining and just learn how. : D)That cut is amazing! Love it! Super, duper layouts Bobbi! Love them, I just love the first one, I love the pic & your style.TJ's hair looks awesome – boy, you are one talented lady. Love the short hair. She looks very grown up! 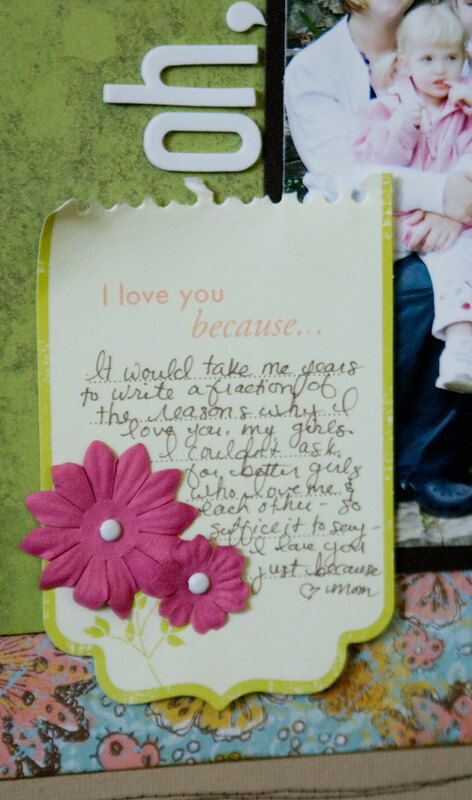 And I need to catch the scrapbooking bug I am so far behind- can you please cough on me!!! 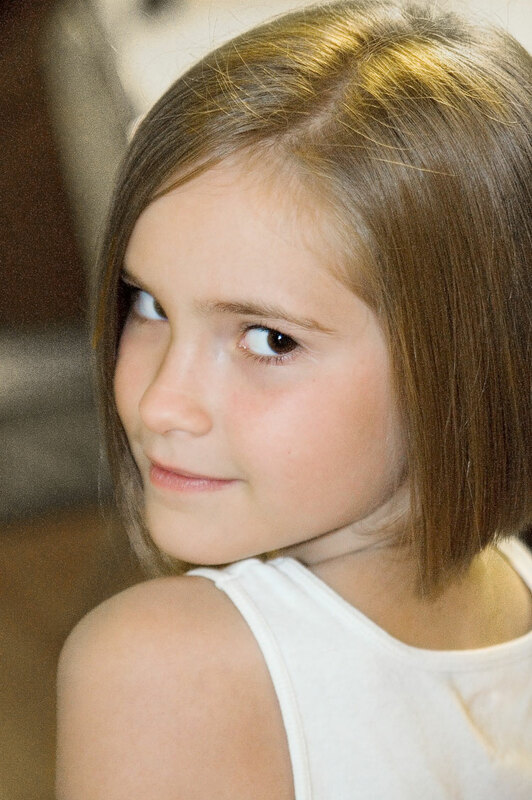 no fair my 8 year old neice has MY haircut. I’m just waiting for this silly hair to grow so I can have my hair cut back 😀 Good job on the angle. can I just say that you are one of the most inspiring women I know. 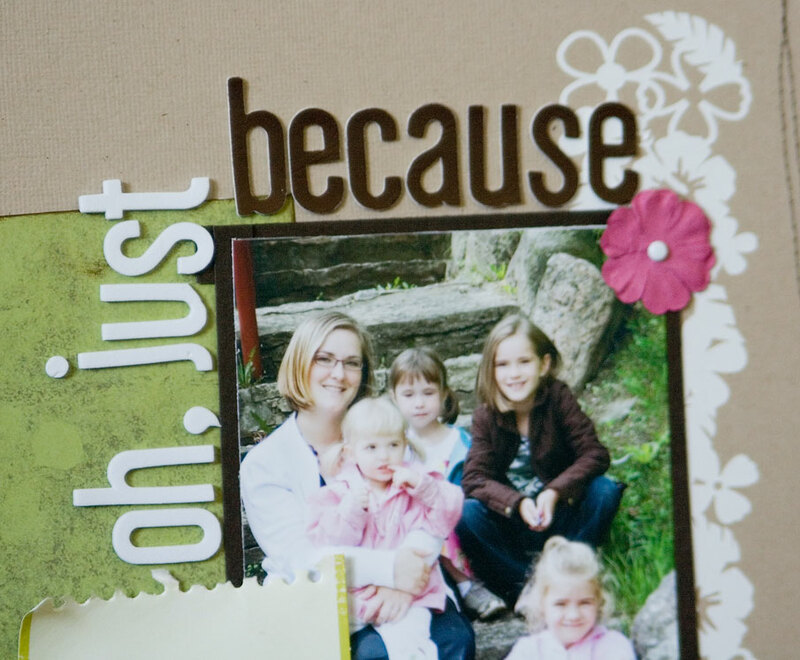 I read your blog and see your layouts and instantly want to run to my scrapbook room!! You are amazing!I always ask myself, “wow, how does she do it all?”. Do you wake up at the crack of dawn and go to bed late? I am just amazed by you. Thanks for your example and inspiration.